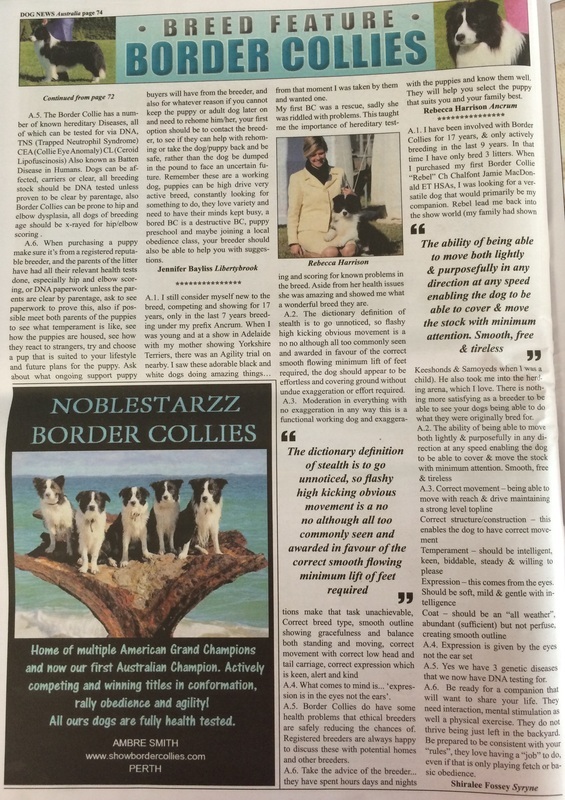 Dog News Australia Issue 11 2014, page 72. Dr. Katrina's Dog Funny Pet Photo Competition. Thank you to Activyl! 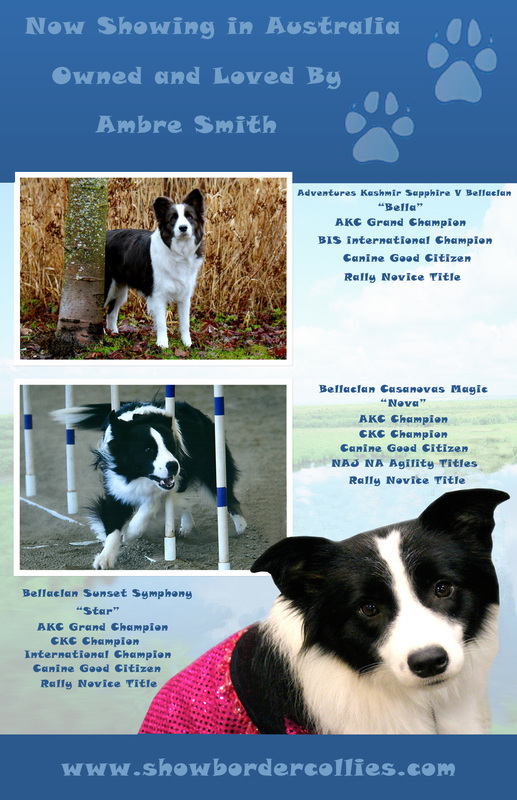 Look for our Ad in the 2013 Nutmeg Border Collie Yearbook!!! Star and My Sister, Briana were named a top 12 finalist out of 800+ entries in the Beneful® Dream Dog Park Contest! I am so proud of my sister for her creative ideas, and for always helping with the dogs! Even though she didnt win, she did an awesome job! I hope by sharing her ideas, the community was also inspired to share their love for their own dogs! Beyond the Stars Dog Park! Thank you to everyone who voted for us!!! Please see highlights of the contest below! OC Register Nov 1, 2012 - Briana and Star! 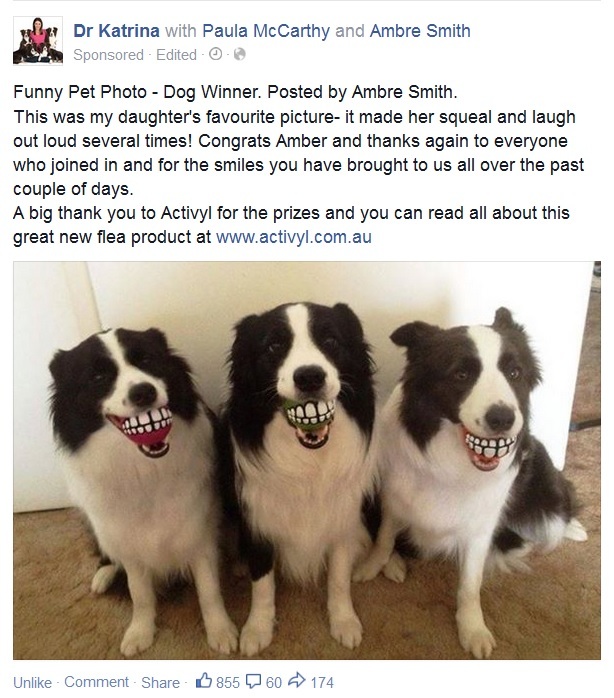 - Beneful Dream Dog Park Contest Finalist! 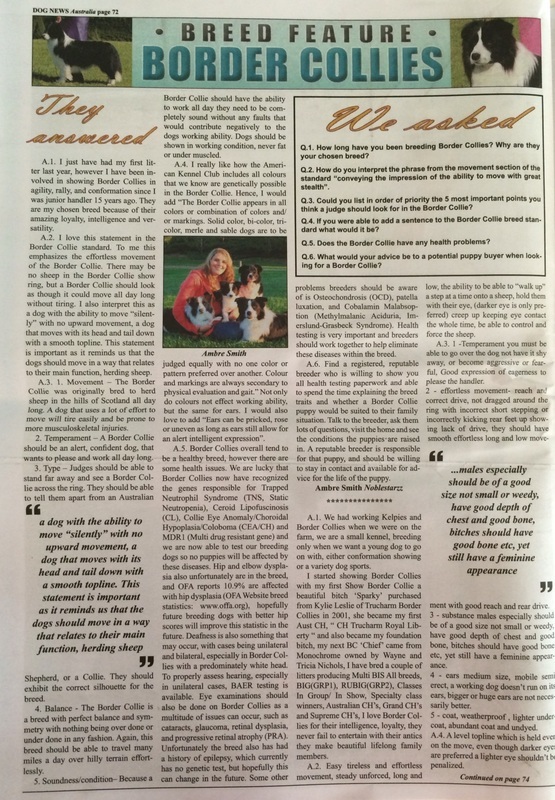 Daily Pilot October 25, 2012 - Briana and Star - Beneful Dream Dog Park Contest Finalist! Briana's Beneful Dream Dog Park Campaign Highlights! Bella wishes she was shopping for a new dog park! Bella and Nova love playing in the park! Especially with new toys! Vote for Briana and Star so that all dogs can have a toyful dog park ! Our dogs love going to the park! Vote for a renovated dog park ! Mutt Mingle 2012 - Vote for Star! It's should be PARK time not BED time!!!! Vote for Briana and Star! It's Election Day! Nova is voting Briana and Star for dream dog park President who will you vote for? "We're ready to play!"... Help Bella and Nova get out of the house and into a renovated dog park . Vote for Briana and Star! Nova! Don't sit so close to the tv, you'll hurt your eyes!!! ... Help Nova get out of the house and into a renovated dog park to play! Great day for the park! Vote for Briana and Star for a renovated dog park ! Beneful Baked Delights in the shape of Stars! Vote for Star! Getting Interviewed! Thanks Chapman University News!